Second Hand Video Games and Consoles Soaring in Popularity, Says Vivastreet.co.uk - Recent high profile game launches such as Treyarch's Black Ops late last year have brought gaming firmly into the mainstream. Traffic to the Video Games section of free classifieds site, Vivastreet.co.uk, was noticeably higher in the first six weeks of 2011 than the last six weeks of 2010, defying the usual post-Christmas lull. Of all the ads on Vivastreet.co.uk, some of those attracting the most eyeballs are ones containing second hand consoles and video games, as cash-strapped Brits look to start gaming without breaking the bank. 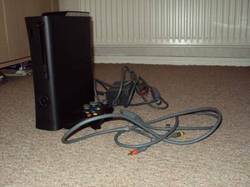 Second hand PS2s and XBox 360s have proved particularly popular, especially with online gamers. The number of people seeking to cash in on the booming popularity of gaming has also risen, with new ads posted in the Video Games section during the first six weeks of the year also up on the last six weeks of 2010. One of the most popular second hand video games for sale has been first person shooter, Call of Duty 'World at War' — perhaps not surprising given the launch of sequel game, Black Ops. There has also been a mini-surge in the number of Wii consoles on the site in recent weeks, doubtless as a result of the launch of the XBox Kinect.